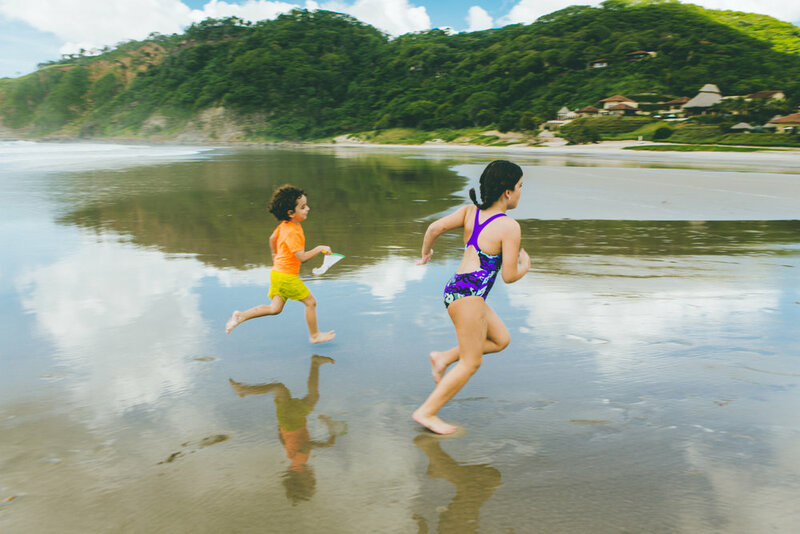 During a trip to Mukul, discover an array of activities for the entire family to enjoy. Whether you love surfing or laid-back picnics on the beach, there’s a wide variety for everyone to enjoy. With luxury surf outfitter TropicSurf, the entire family can enjoy an immersive surf adventure at their own pace. Lessons range from beginner to master classes, and all take place at the resort’s Manzanillo Point. When you choose a half or full-day boat tour along the coast, you will have the chance to surf the best waves or simply relax and enjoy swimming in hidden alcoves. During a family trip to Mukul, enjoy quality time both on and off the beach. Begin with a visit to the small, picturesque fishing village of Gigante, set conveniently near Mukul. With sandy beaches and an array of shops and restaurants, you will enjoy a laid-back day of exploration. When you return to Mukul, opt for a lunchtime picnic on Playa Guacalito, the perfect locale for a tranquil afternoon. The team at Mukul will set up your very-own canopy, equipped with plush cushions for a relaxing lunch on the sand. In the evening, return to the beach to enjoy a bonfire with s’mores for the entire family. 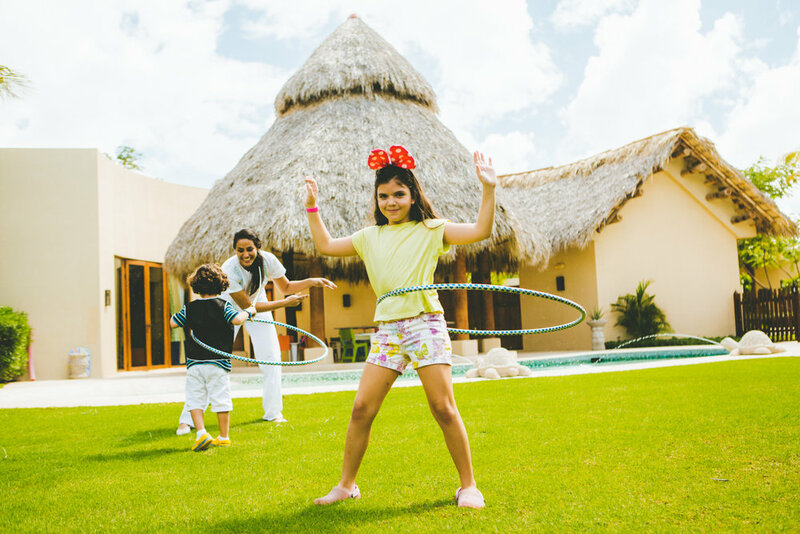 Mukul is the perfect place for families to get active, whether you prefer hiking, biking, or archery. During hikes along the area’s many nature trails, discover the beauty of the Pacific Dry Forest where tropical birds, monkeys and iguanas greet you. If you prefer to bike the area, Mukul grants complementary bike access to all guests. After your adventure, join a local park ranger to test your skill in archery – bow and arrows included. Available all year round, the entire family can hop aboard Mukul’s “Spirit of Mukul” - a 31-foot, double-engine Pursuit. The vessel will take you for a half or full-day experience to the inshore and offshore fishing spots only locals know. If you’re lucky, you’ll have the chance to catch Spanish mackerel, Jack Crevalle, Mahi- Mahi, Red Snapper, Wahoo, Rooster Fish and much more. For the ambitious fishermen in search of big-game fishing, marlin and Yellow-Fin tuna are a regular occurrence offshore. From May to August, families visiting Mukul can opt to sign their children up for Golf & Surf Summer Camp. Occurring monthly, this 2-week camp is specially tailored to kids ages 7-14. Starting on Wednesday and ending on Saturday of each week, kids will be in the care of golf and surf pros during the morning and taught a wide range of skills in both sports. In the afternoons, Mukul’s Aventura Rangers and Kul Kids Team will lead the group on high-energy activities that will expose them to the secrets of the environment around them and encourage team-work.